↑ Highfield, Roger, «The Bradford bug that may be a new life form,» Daily Telegraph, 15 October 2004. New Scientist, Issue 2544, 25 March 2006. 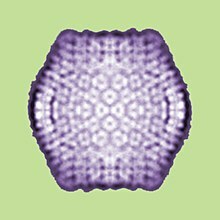 Press Release: Mimivirus: discovery of a giant virus, Paris, 28 March, 2003.